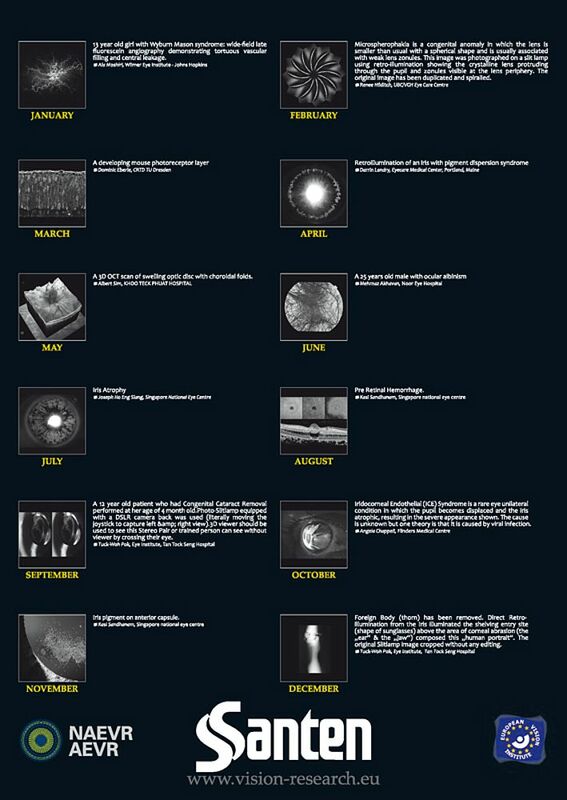 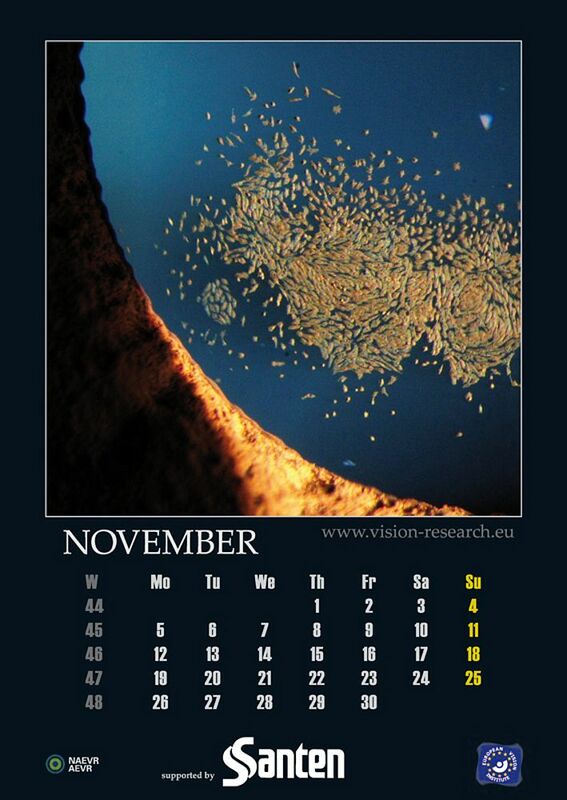 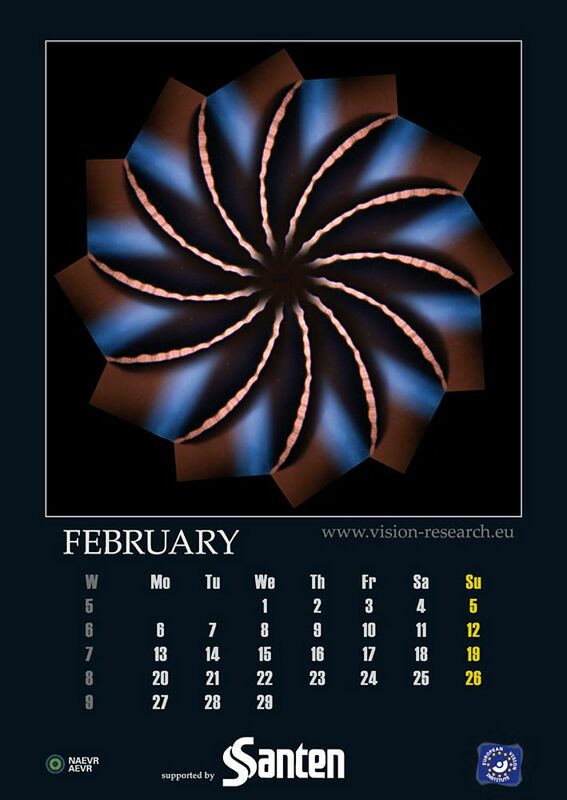 The European Vision Institute (EVI) is pleased to present the 2012 edition of the calendar to share the beauty and grace of this exciting field of biomedicine and life science. 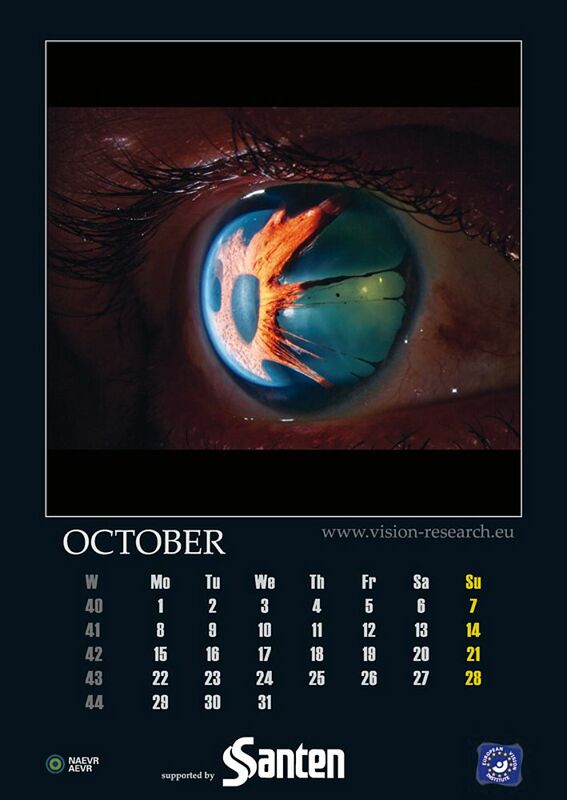 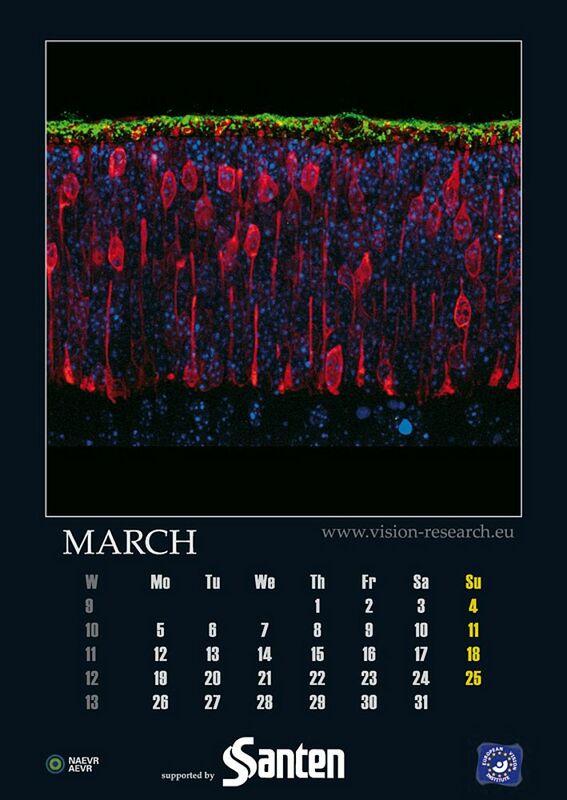 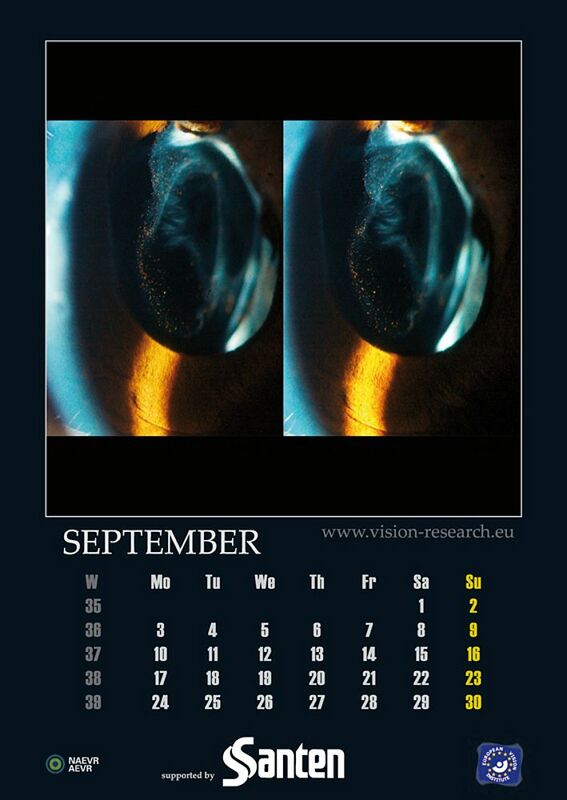 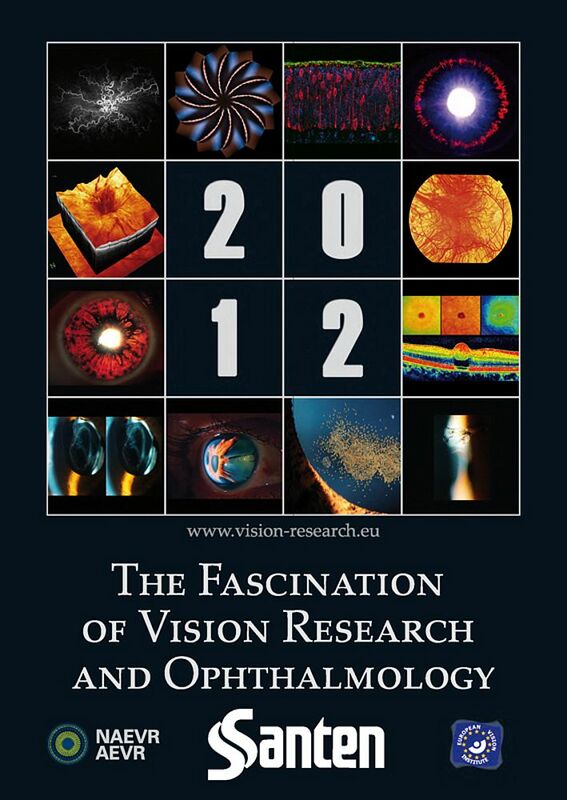 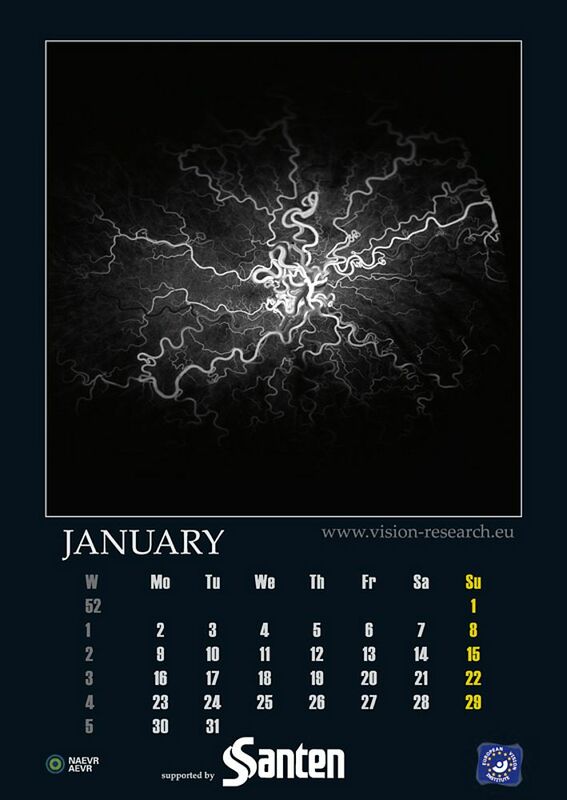 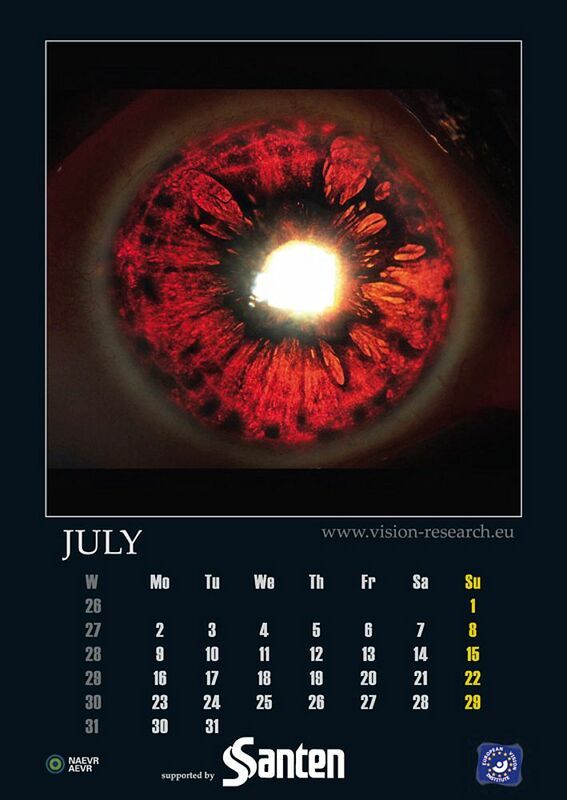 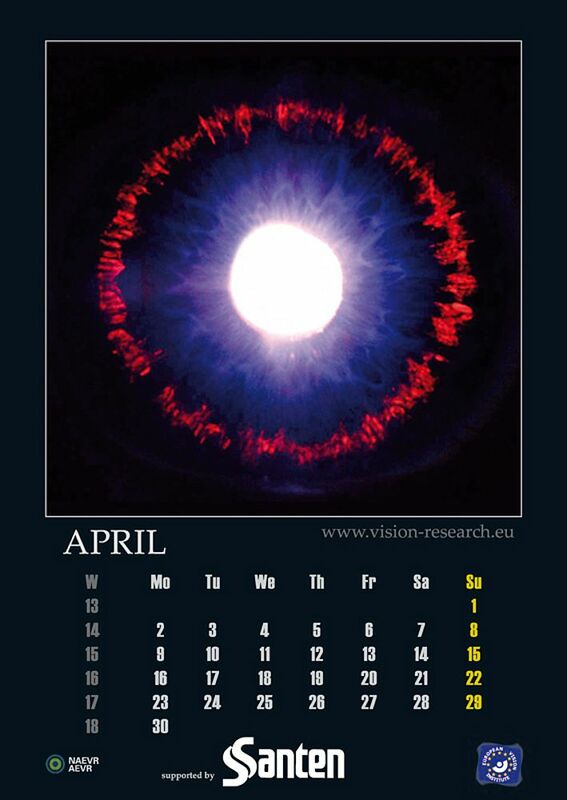 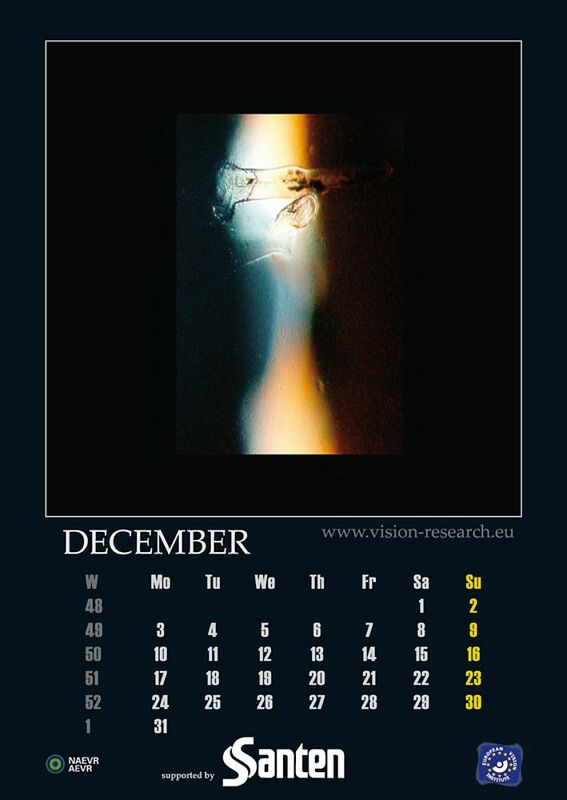 The photo motifs of the calendar are the results from the 2011 picture competition that had been posted on this web-portal where you can find up-to-date information on developments in Vision Research and Ophthalmology, covering all aspects of basic and translational research in the private and public sector. 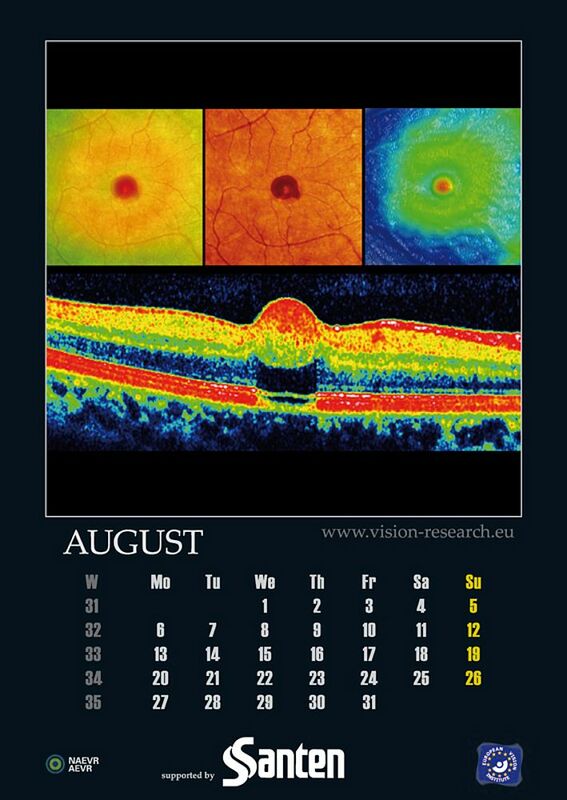 Today, Santen specializes in original ophthalmic and anti-rheumatic pharmaceuticals as it works to create superior pharmaceuticals for all types of ophthalmic disorders and offer information that meets clinical needs. 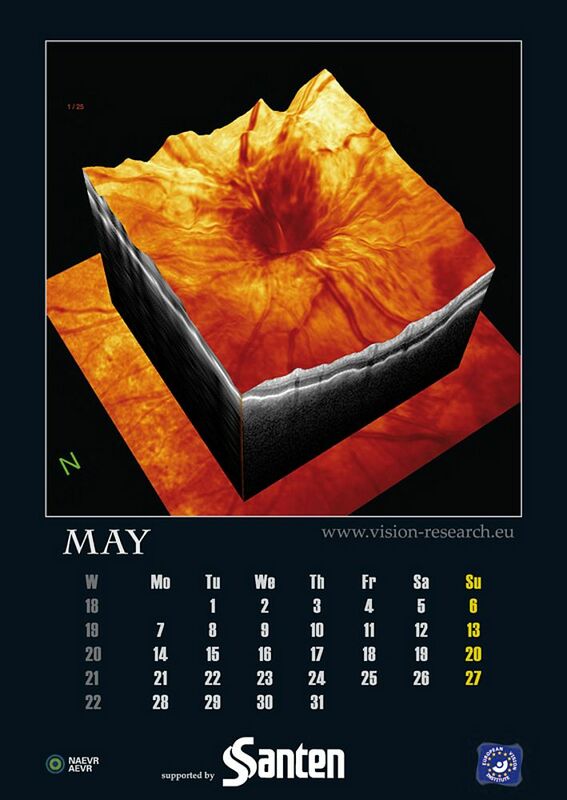 As a result, Santen leads Japan's market for prescription ophthalmics, which represent over 80 percent of Company sales. 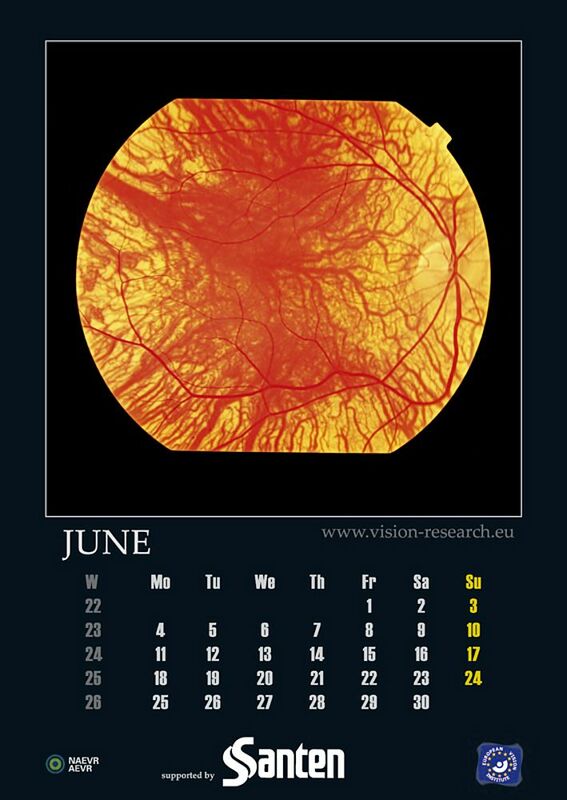 With marketing and development bases in Japan, the United States and Europe, backed by first-rate R&D capabilities, Santen aims to increase corporate value to become a world-class company that delivers unique products to patients worldwide.